Seniors Emergency Home Repair program provides up to 50% of costs to a limit of $1,500 for necessary repairs to a home. 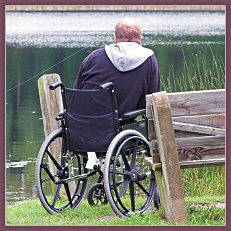 Disability Support Program provides limited funding for home adaptations, administered by the Social Programs Division. Cost share with Canada Mortgage and Housing Corporation (CMHC) who deliver the Residential Rehabilitation Assistance Program (RRAP). PEI Builds affordable housing and promotes homeownership as a means to breaking the cycle of poverty.